I’ve received an email from Pavlo about Iagon, a company he’s part of. And I was impressed by this project mixing super computing, blockchain technology and Artificial Intelligence (AI)! Because it really looks like something from the future, where the team plan to create a super computer from our devices. Yes, my computer, yours and all the other available devices, which have storage capacities and processing power to share. So it wouldn’t really be a computer, but a grid of storage and processing. They believe that with their solution, they can compete with any of the current cloud computing moguls! And I think it’s a credible assumption. Because they won’t have to invest in expensive hardware. And they’ll be able to aggregate computers’ free storage capacities and their CPU and GPU processors during idle times. And all of this is possible thanks to new technologies: Blockchain, AI, Big Data, Tangle and Secure Lake, to name but a few. While I could try to explain all in details here, I recommend you to read their white paper. And you’ll see this is a serious project! Iagon’s business model is a token-based economy. Therefore they’re implementing their own crypto-currency: Iagon tokens or IAG tokens. IAG tokens and the platform are using the ethereum blockchain. Servers and data centers who share their capabilities on the platform will be granted IAG tokens. And they’ll be able to trade them back to fiat. In addition to resources and storage space, contributors can publish their skills and offer their service on the marketplace. Users who wish to purchase capacities or services will have to do so with IAG tokens. And the platform will re-distribute them to the parties that provide their services to the users. How to get the free IAG tokens? Make sure you confirm email and password correctly. Then solve the captcha and tick the Terms and Conditions checkbox. Finally, click on Sign Up. And you need to activate your account, by copying and pasting the activation link from the message to your browser. Yeah, I know it’s weird it’s not an HTML link in the email. That would make things easier! Second, you need to follow their Telegram group. So you need the Telegram app and an account… Or you can’t join Iagon airdrop! Third and last step, you need to fill their Google registration form. And it’s very quick. Just fill in your name, your email address (again) and your Telegram username. Then you must submit an ethereum wallet address (ERC-20 or ERC223). And this must NOT be an address from an exchange! Otherwise you won’t receive your free IAG tokens… Then select whether you want to receive their newsletters or not. And click on Send. That’s it! If you’ve missed the airdrop, you can still get free IAG tokens! Indeed, Iagon launched a bounty campaign as well. And it’s much longer than the airdrop. First of all, you need to click on this link to sign up. Then fill in your username, a valid email address and your password. Solve the captcha and accept their T&C. And click on Sign Up. Now you need to validate your email address. And to do so, you need to copy and paste your activation link, from the welcome email. You need to paste it in your browser! 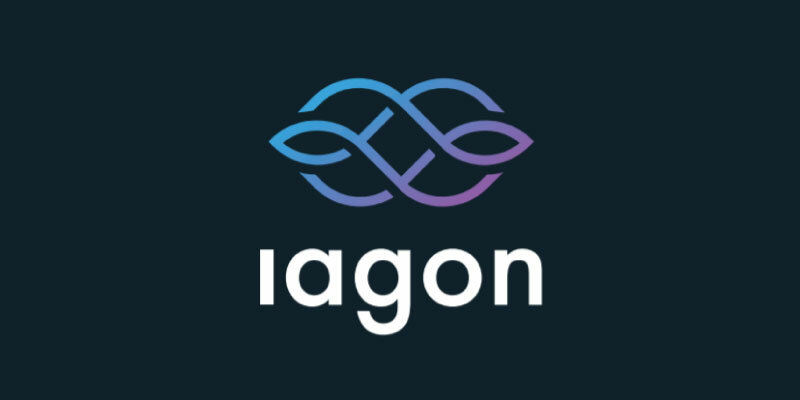 Finally, you can visit Iagon bounty page at this address. And you’ll see a list of actions you need to complete to get free IAG tokens. I’ll let you browse them. But most are social media tasks. And the amount of IAG tokens you’ll get depends on the task you accomplish. Also you have an Invite a Friend campaign, where you can share the project with your friends to get more IAG tokens. Not to mention a referral program. So many ways to get free IAG tokens! Enjoy. Iagon is a revolutionary cloud computing and cloud storage platform. Thanks to blockchain technology and Artificial Intelligence they're creating a super computer from users' devices. And they're giving away free IAG tokens. Claim yours before it's too late!